The Lobster Dock popped up on a few lists of Maine’s Best Lobster Roll and, since it was on our way up to Shaw’s, we figured we’d swing by Boothbay Harbor and give them a try. 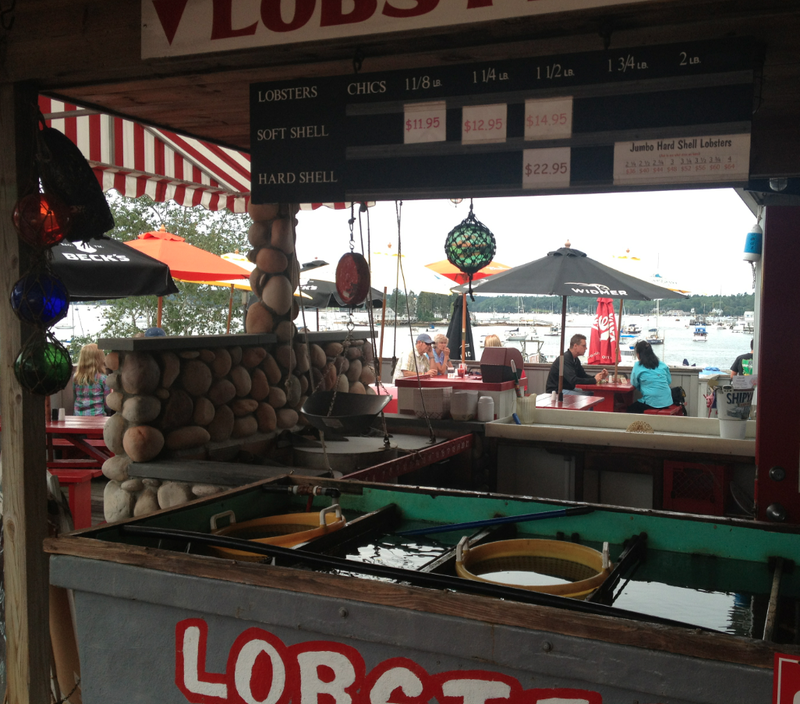 The Lobster Dock sits right on the water, and was one of the most friendly feeling places we visited. A large, multilevel deck gave us our choice of tables, all of which provided a great the view of town across the narrow harbor. The lobster pool and cooking station were right there next to the order window, and we could see a young man cooking fresh lobsters to order. The fact we could also order a beer was also a treat. Once again, we ran into the unfortunate choice of have our lobster roll either (a) cold with mayo, or (b) warm with butter. Having fallen for the latter at Rye Harbor Lobster Pound, we opted for warm with butter. In retrospect, and considering our experience, we regretted not getting one of each so that we could have maybe given the Dock another swing at bat. In sum, this roll was just not very good. Had we not witnessed the freshly cooked lobsters being pulled from the cooking station just a few feet away, we would have guessed that this lobster had sat around awhile. Perhaps it was the butter-ish drench, and not the lobster meat itself. But even the lobster meat was overcooked and rubbery. Instead of the flaky, fluffy, fresh-tasting lobster roll we’d hoped for, we ended up with a dense, rubbery, off-putting roll that just doesn’t hold a candle to the big boys. To top it off, it was one of the few times we were thankful the roll was a bit light on lobster meat. 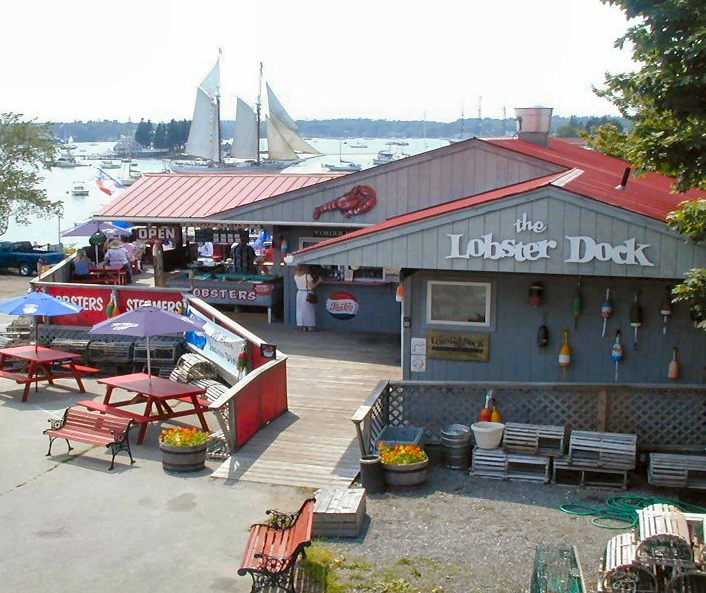 The Lobster Dock can be found at 49 Atlantic Avenue in Boothbay Harbor, ME. WEBSITE: http://www.thelobsterdock.com. FACEBOOK: https://www.facebook.com/pages/The-Lobster-Dock/88712134509. PHONE: 207.633.7120. 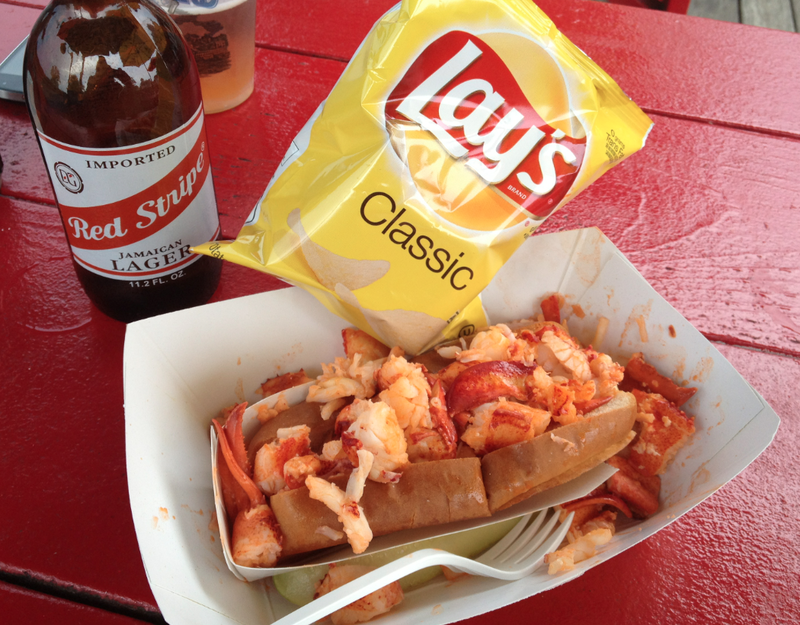 A poor excuse for a Maine lobster roll.